I’m not really a “birder”, but this guy certainly caught my attention one afternoon while photographing Alberta’s abandoned buildings. 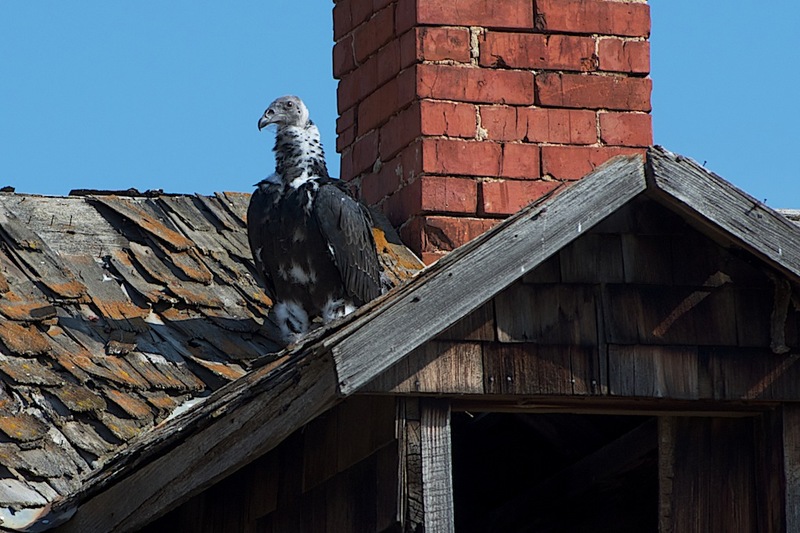 He is a Turkey Vulture – rare enough that I’d presumed they didn’t nest in my province. Also rare enough that Alberta Fish & Wildlife wants residents of the province to report sightings of them. I have to admit that he gave me the willies. Birds generally fly away when I point my lens at them, but not this guy. This guy just looked me over – I presume because he was waiting for me to drop dead so he could pick my carcass clean. 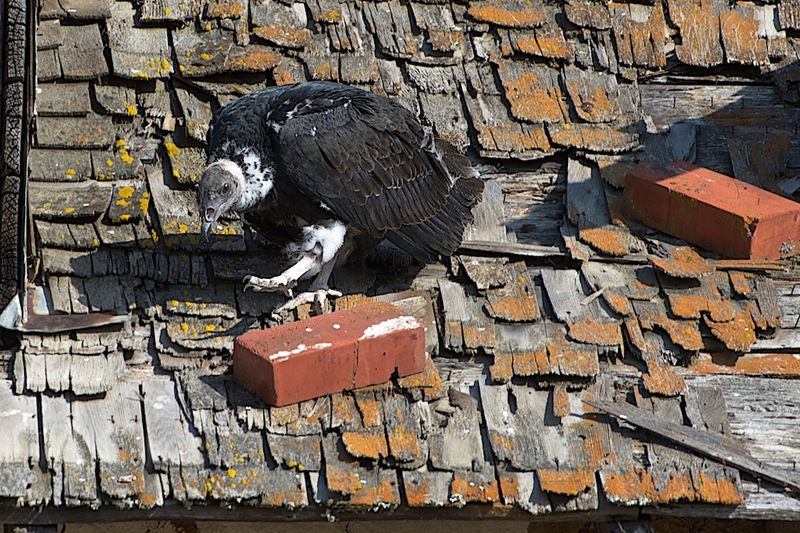 As unattractive as this vulture was on the ground, I’ve read they are quite majestic in the air.